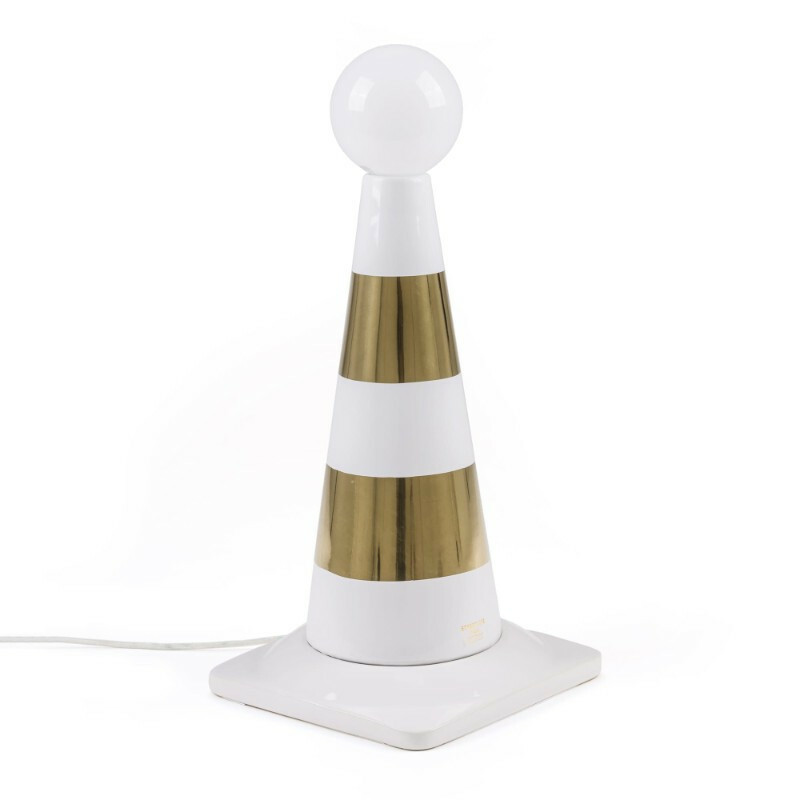 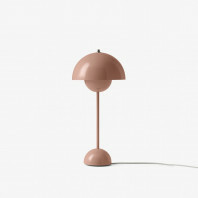 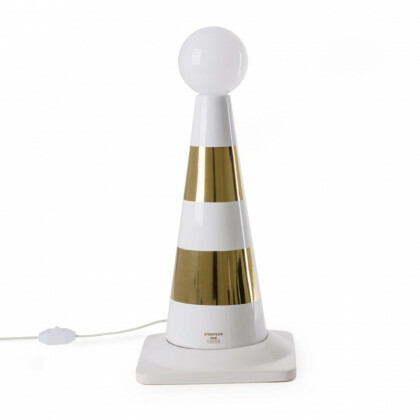 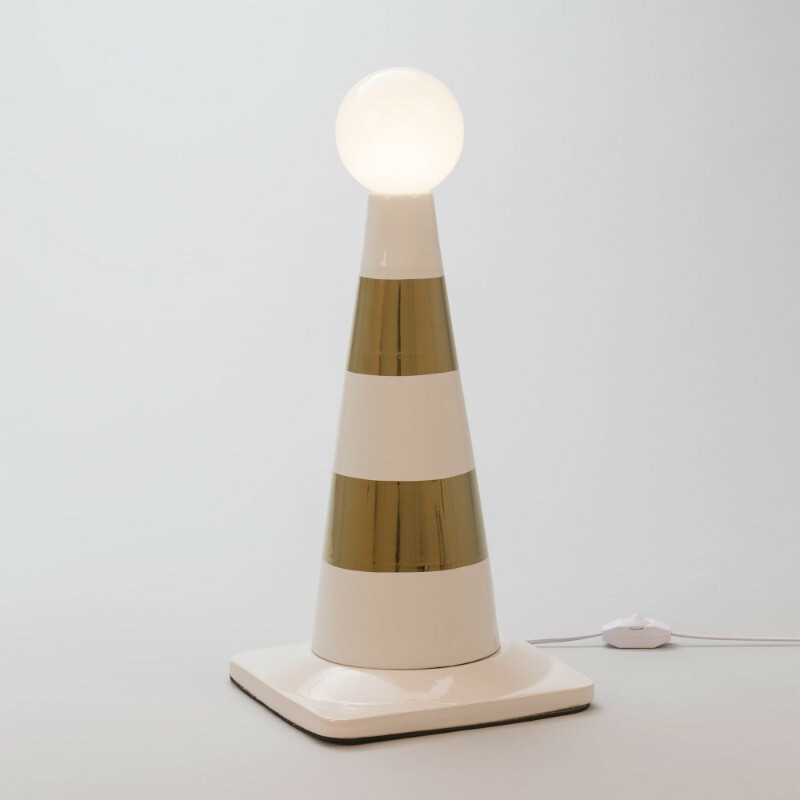 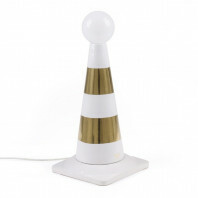 Seletti’s Street Life table lamp is reminiscent to that of a cone used to indicate roadworks or the like found on the street. 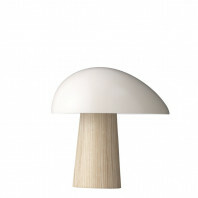 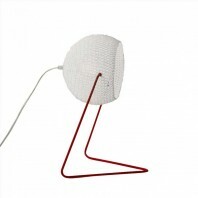 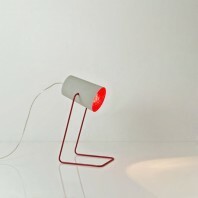 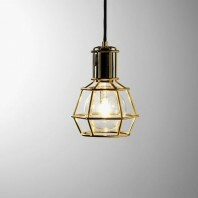 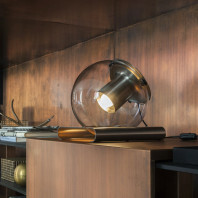 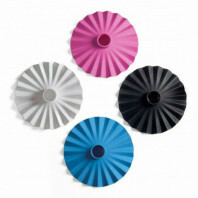 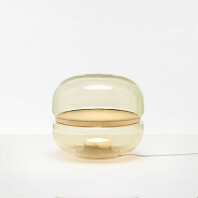 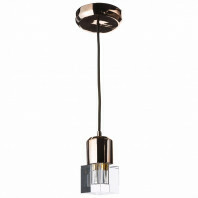 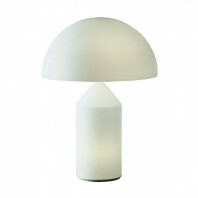 The lamp’s form consists of a cone shape placed on a square foundation with a ball placed on the apex of the cone. 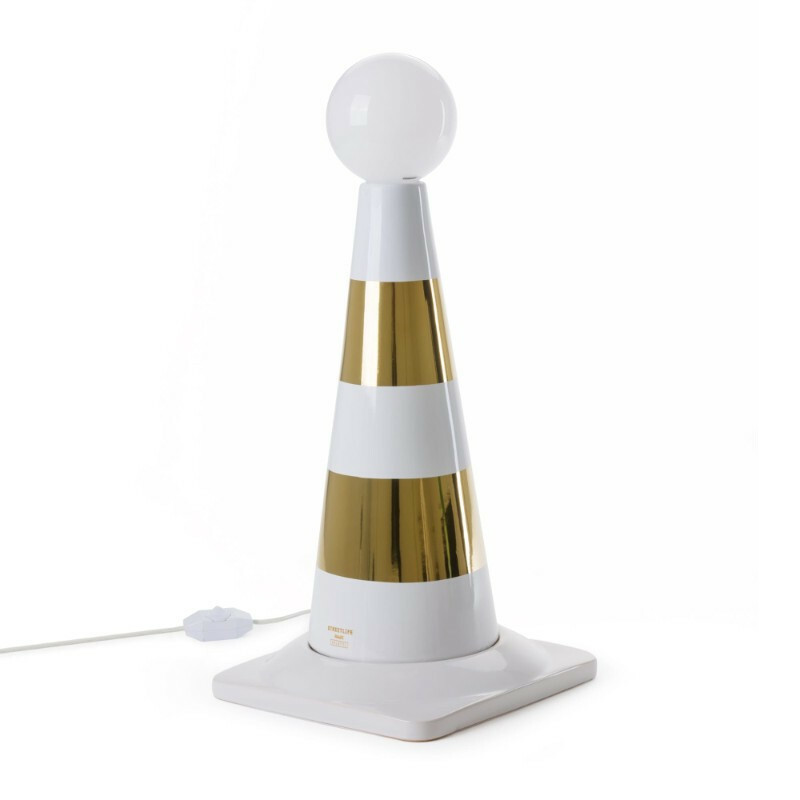 Contrary the usual orange coloring of street cones, the Street Life lamp maintains horizontal stripes in white and gold. 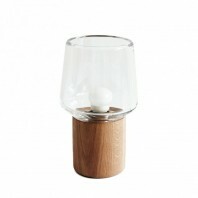 When illuminated, the circular bulb on top of the cone lights up and provides extensive light to its surroundings. 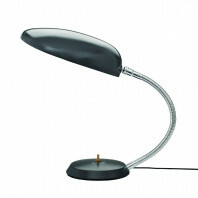 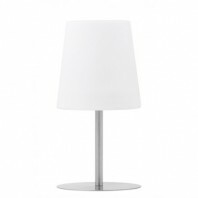 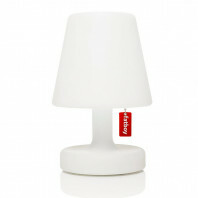 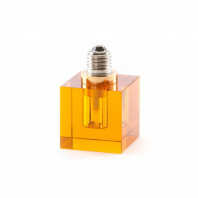 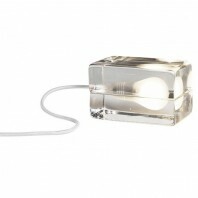 The compact size of the Street Life Lamp makes it a perfect addition to any table top. 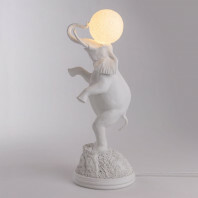 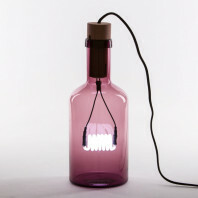 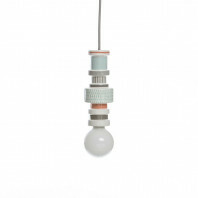 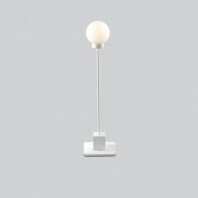 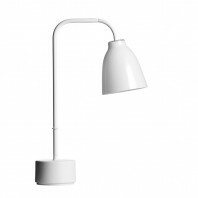 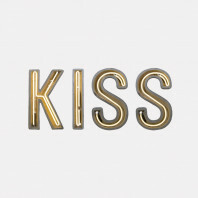 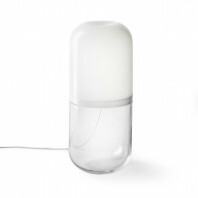 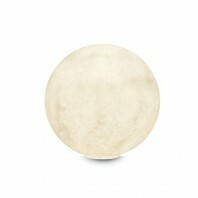 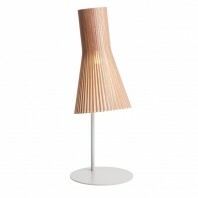 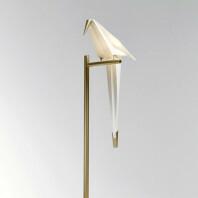 The Street Life Lamp is made out of porcelain is to be placed in interior spaces only. 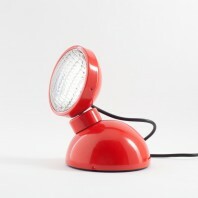 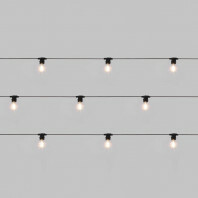 The dimensions of the Street Life Lamp are as follows: width 27.5 cm, and height 48.5 cm. 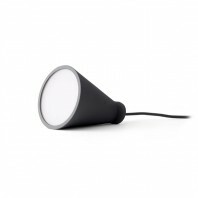 The Street Life Lamp is provided with a LED light bulb with the following specifications: - 4W – E27 – warm light, Eu version: 230V – 50Hz. 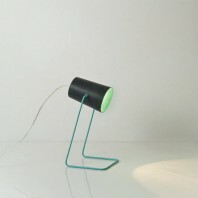 It also comes with a cable that is 1.4 meters in length. 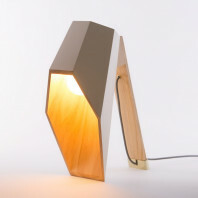 The Street Life Lamp is designed by Studio AMeBE, an autonomous Interdisciplinary Design Studio based in Italy. 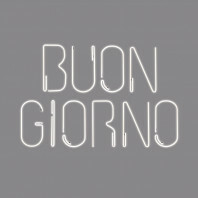 The studio was established by Alessandra Mantovani and Eleonara Barbareschi in 2008. 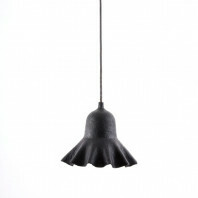 AMeBE transforms traditional projects into unique designs by experimenting with various impressions and materials.